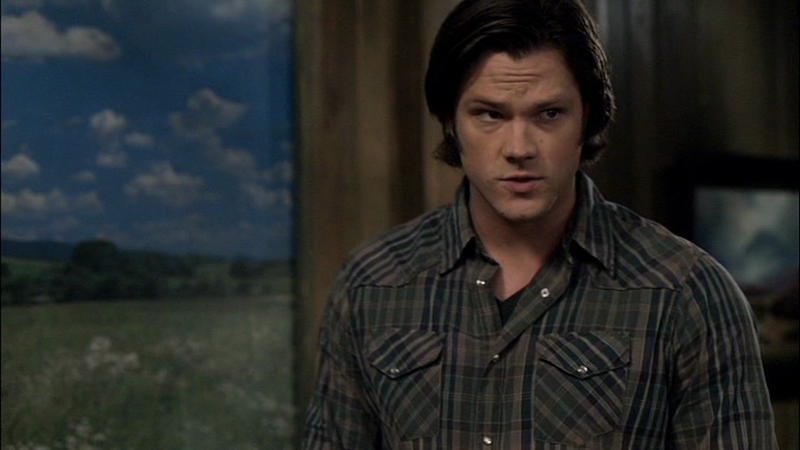 I’m seriously running out of names for the different plaids Sam wears. This plaid is an army green and dark blue plaid on a dull brown background. It does up with pearl snaps and has a slight western cut to it. In 99 Problems (5x17), Sam is wearing this shirt when Dean gets back to the motel the morning after Paul is killed, and Sam and Cas tell him about the Whore of Babylon. He wears it through to the end of the episode. In Weekend at Bobby’s (6x04), Sam wears this shirt to Scotland. In Caged Heat (6x09), Sam wears this shirt for the entire episode. In My Heart Will Go On (6x17), Sam wears this shirt at the beginning of the episode when the boys are at Bobby’s. In The Mentalists (7x07), Sam wears this shirt when they go to the graveyard to burn the wrong sister’s bones. He keeps it on until they actually managed to kill the correct ghost. In What’s Up, Tiger Mommy? (8x02), Sam wears this shirt when they go to the train station and discover that the tablet has been stolen. In Everybody Hates Hitler (8x13), we see Sam wearing this shirt at the end of the episode, while he makes a library index card for their copy of the Red Ledger. In #THINMAN (9x15), Sam wears this shirt when he and Dean are in the motel room reminiscing about their childhood. He keeps it on for the rest of the episode. In The Things They Carried (10x15), Sam has already changed into this shirt (from a suit) when they drop Cole off at his friends house, and then follow him out to the cabin. Sam wears it for the rest of the episode. In The Foundry (12x03), Sam is wearing this shirt when they are researching at the motel. He keeps it on until the end of the episode when they return to the Bunker and Mary leaves. 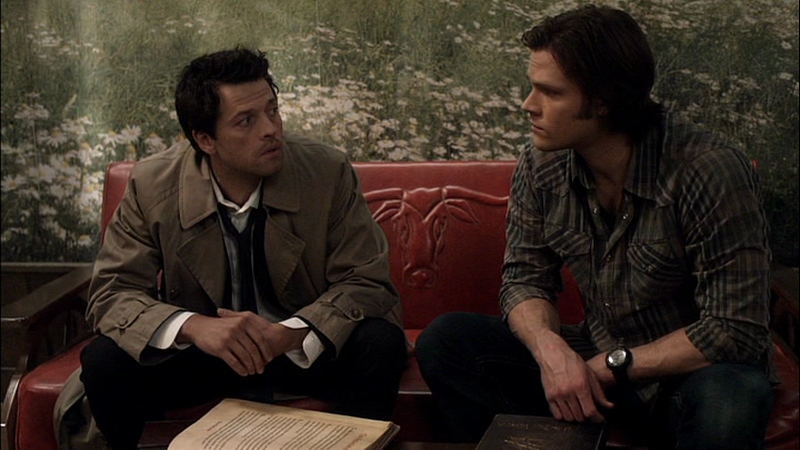 I love the pic of sam and cas. Do you have a link where i can get only that one? It is adorable! You can just follow the image link (http://i151.photobucket.com/albums/s142/BooBooBGone/Screencaps/vlcsnap-00025-4.png) to get that picture isolated.